Loads of recipes and activities to choose from. Majesco brings mama’s home cooking to your Nintendo 3Ds with the release of Cooking Mama 5: Bon Appetit. 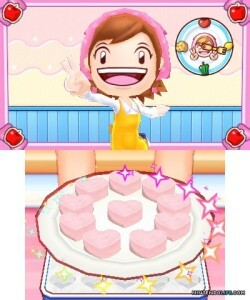 With loads of recipes to master and tons of mini game activities to add a little variety to gameplay, you’ll be mixing, slicing, and dicing your way to a great time. 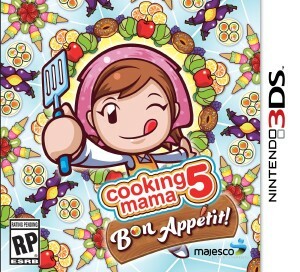 Those who are familiar with the Cooking Mama series will find a ton of new recipes to master, and newcomers to the series will quickly feel like old pros as Mama shows them the ropes in the kitchen. 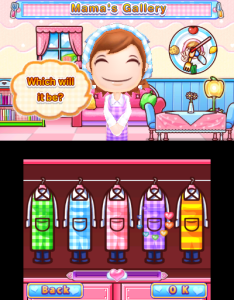 The gameplay in Cooking Mama 5 is largely made up of cooking activities, and it makes productive use of the stylus to ensure every activity really does feel like you’re whipping up your latest masterpiece in the kitchen. 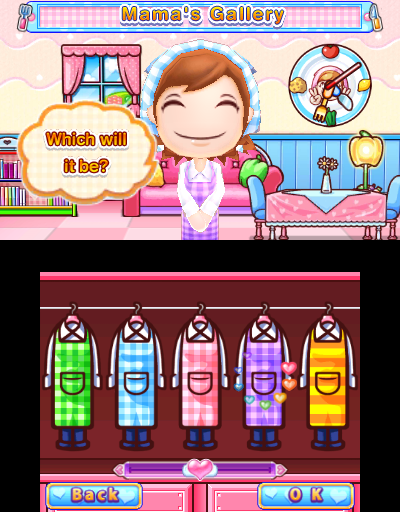 As you begin, you’ll select a recipe from the ones available to you – not a lot at first, but you’ll unlock more each time you complete a dish. Each recipe is broken down into several different parts (just like real cooking). For instance, you might start by chopping onions, then move on to straining vegetables, creating a sauce, grinding meat, and more. Each activity is timed and scored (bronze, silver, or gold). When you finish a recipe, you are given a score for the entire thing that is made up of the individual scores. The activities are designed to keep you on your toes – and working against the clock. Everything from dicing to stirring to straining requires you to perform a series of different tasks both quickly and accurately. Stirring in ingredients requires you to stir at just the right frequency. 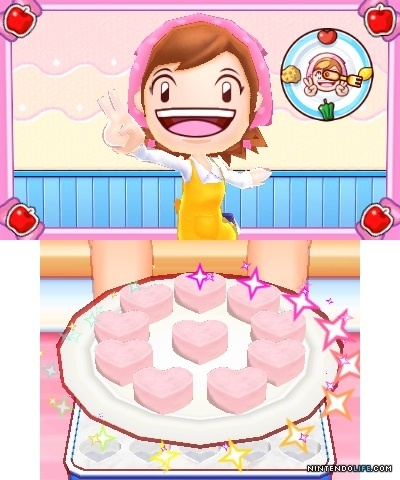 If you stir to quickly, the ingredients will spill all over the place (which can be a little fun on its own, as the game instructs you to blow into the speaker to blow away the flour mess). Pouring ingredients into a dish can even be done by tilting the device, which is a nice touch. Regardless of what you do, you’ll need to do it quickly – especially in dojo mode, which times you on previously completed recipes and holds you to an incredibly high standard. When you successfully complete a recipe, you will be given two gifts – a new recipe for your kitchen, and a new activity to “help Mama”. The recipes cover a really nice range of food, from the ever popular chicken nuggets to traditional Asian fare. Regardless of the recipe, the steps you follow to prepare it are pretty authentic, adding to the realism while keeping things fun. This is especially nice for the little aspiring chefs in your household, as it’s just more fun for them if it’s like the real thing. Even adults can enjoy giving Mama a hand in the kitchen, as many parts of the recipe preparation are really quite challenging – you aren’t guaranteed a gold coin recipe, even if you are a great cook in real life. Unlocked recipes can be completed in whatever order you like, and you can go back and prepare them again and again whenever you want. When you want a little break from the endless chopping and slicing, you can help Mama out with a variety of activities around the home. These cover a wide range of activities, from feeding the fish and tidying up the sewing to filling orders and harvesting vegetables. The challenges work on a timer, with you trying to complete as much of the activity as possible in the amount of time given. You’re basically playing against your own high score, and many of them provide a nice challenge while keeping up a pretty frantic pace. It provides a good balance to the cooking activities, which can start to feel repetitive during long sessions. After a quick trip to the study room, you’ll be refreshed and ready to stir and strain once more. 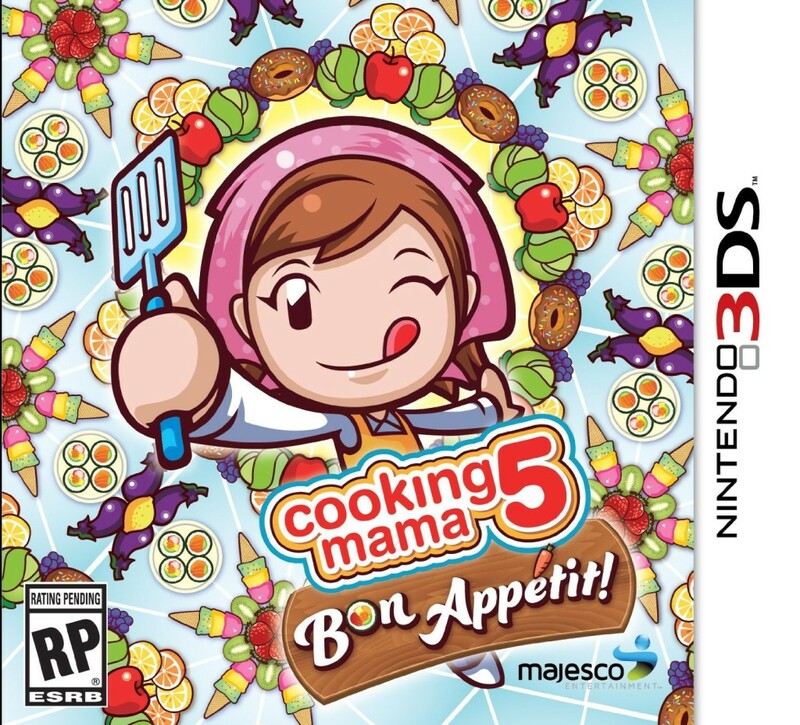 Cooking Mama 5: Bon Appetit is great fun, providing frantic cooking action that is way more engaging than you’d think it would be. Whether you’re whipping up some cocktails or trying out homemade marshmallows, you’ll find game play that is just close enough to the real things to make it interesting, but not so close that it feels like work. Cooking Mama 5 is a welcome addition to your 3Ds library for gamers of all ages.